This is the third pairing of my pedigreed buck, Sandrider, and my most consistent AmChin, Syren. 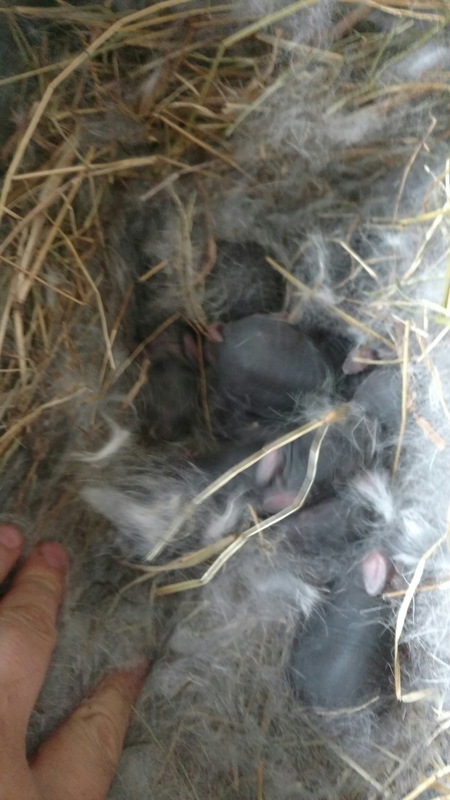 There is a healthy litter of 8 baby kits born around midday on Easter. 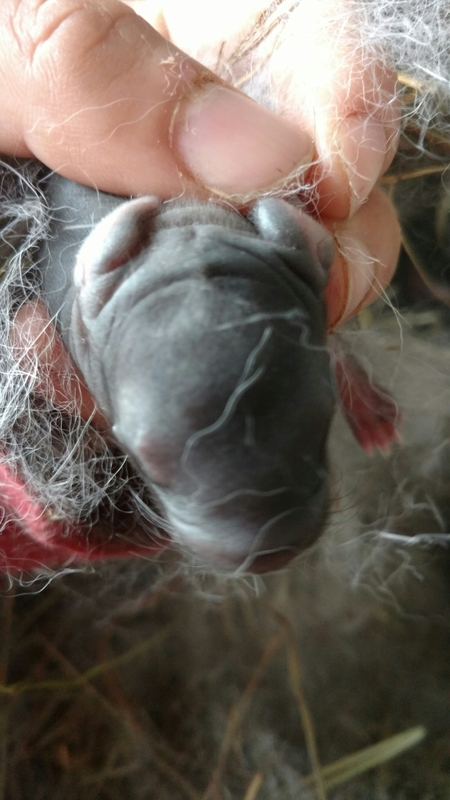 She has done such an amazing job with her last few litters, so I am expecting great things from this batch.